Located in the Iberian Peninsula, facing the Atlantic Ocean, Portugal had a strategic position to conquer lands in others continents. Today, as an European Union member, Portugal is resuming its economic growth. 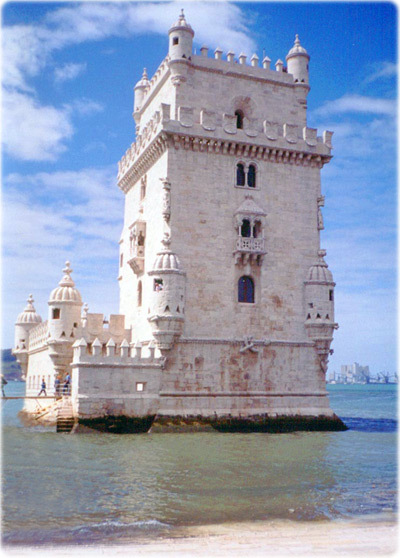 The historic Tower of Belem in Lisbon, built to commemorate Vasco da Gama's expedition. It is an UNESCO World Heritage Site. In the 16th century, Portugal and Spain were the greatest maritime powers in the Planet. Cascais and Estoril, Lisbon Metropolitan Area. Oceanário de Lisboa (Lisbon), dedicated to the conservation of the oceans. (Photo A. Milena - Ag. Brasil). Our Lady of Fatima Sanctuary, honors the Apparitions of Virgin Mary at Fatima, as related by three shepherd children, in 1917. Praia da Rocha, in Algarve, south of Portugal. The region is one of the main tourist destination of the country.